At TFCM we work amongst the most disadvantaged families within the communities we serve. Priority is given to extended families where the children have invariably lost one or both parents and are cared for by other relatives. In these families the guardians and carers are grandmothers, aunts, single parents, neighbours or even older siblings. TFCM works with people of all faiths, or none, and regardless of their race, tribe, gender or age. Schooling for children and training for their guardians is at the heart of many of the things we do at TFCM. One of our top priorities is to get children enrolled into school at an early stage, sponsoring them for nursery, primary and secondary education. Schooling is their gateway to a better future and hopefully a regular income for themselves and their families. For many Ugandan children, their first taste of school life takes place 'under the mango tree' This is how our nursery and primary school started off in 2008! In the extended families we work with, the guardians find themselves in a vital and challenging caring role for which they are poorly equipped and supported. TFCM provides these guardians with education in family healthcare and hygiene, social rights and responsibilities as well as training in running micro projects to generate family income. 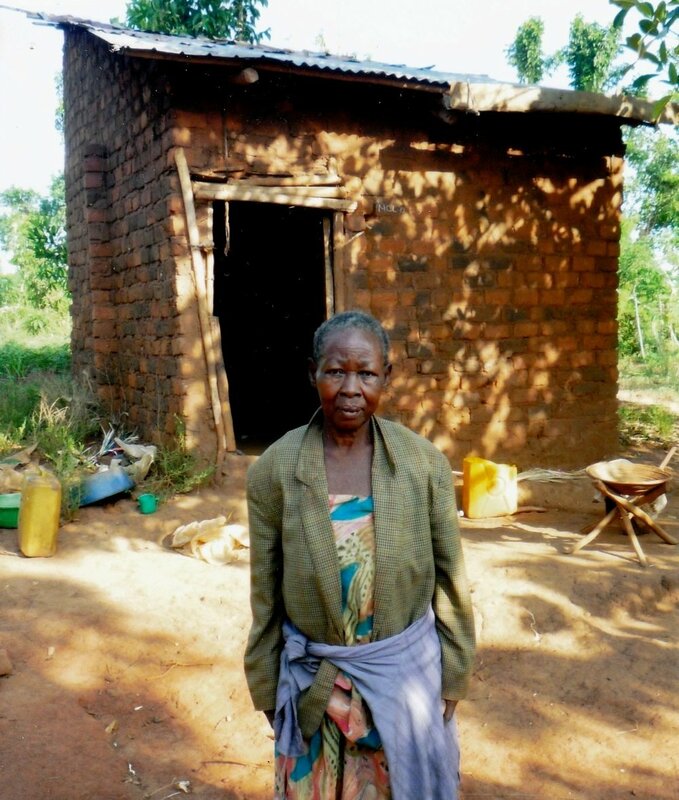 Many of the families we support at TFCM are headed up by grandmothers, most of whom are widows. After spending many years of hardship raising their grandchildren, a growing number of these grandmothers in our communities find themselves living alone, in poor health and without any adult family members left to care for them. Working with our local partners, we are committed to meeting some of the most urgent practical needs of these special women, to show them love and appreciation for their selfless role within their families and community. Malaria is the major cause of death in Uganda with approximately 70,000 to 100,000 dying each year from the disease (source: American journal of tropical medicine and hygiene) This represents a death toll that exceeds that of HIV/AIDS. Particularly at risk of malaria are children under five years of age and pregnant women. One of the most effective preventative measures is the use of insecticide-treated bed nets to protect families at night from mosquito bites. TFCM is committed to providing bed nets to the families we serve in our communities and educating the family guardians in the use of the nets. As you read this, fewer than 25% of Ugandan children under the age of five have a mosquito net to sleep under. The people most at risk from malaria simply can't afford to buy a potentially life-saving net. 100% of all donations for bed nets are sent direct to our local community partners in Uganda. The nets are then sourced locally and delivered personally by our partners to the families who need them. Our families in Uganda go without many of the things that those of us more fortunate often take for granted...The simple bare necessities of life. Eating sleeping and cooking on an open fire.. all in the same room. Many families sleep on mats on earth floors. Mattresses, sheets, blankets and pillows are a luxury seen in very few of the cramped rooms or huts in which on average 5-6 people are living. Basics such as cooking utensils and crockery, personal hygiene items and family first aid kits are amongst the things most urgently needed. A simple first aid kit can stop infections from mosquito bites escalating into severe ulcers.. Through donations, TFCM is able to buy the essential items needed locally in Uganda and organise delivery to the families who need them. Buying these essential goods in Uganda also helps to support the local economy. We have identified some key items needed by many of our families and compiled these items into a range of options for supporters to choose from when making a donation. KAWEMPE is a large slum area situated on the Northern outskirts of Kampala and is where our office and training centre is located. 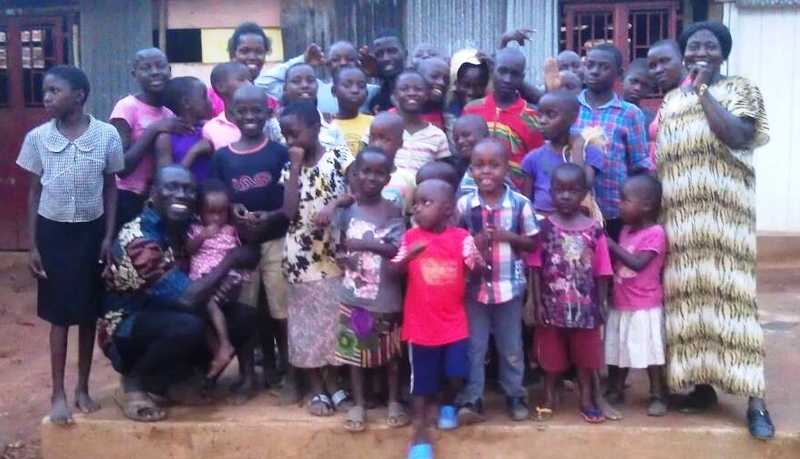 TFCM local partners in Kawempe are Pastor Fred Mubangizi and his wife Harriet. KALAGI is a small but expanding town in Mukono District, about an hour's drive from Kampala. The Father's Children nursery and primary school is located here. KATEETE is a spread out village of around 300 people also situated in Mukono District. 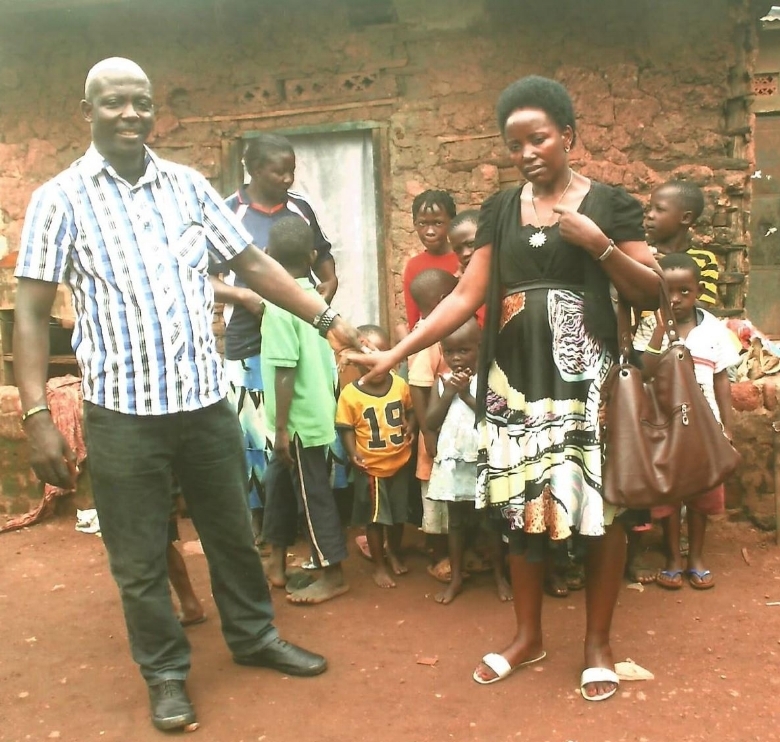 Pastor Sam Ssekirime and his wife Robinah are TFCM local partners for both Kalagi and Kateete.